Contractors need to be aware of new state recycling goals for out-of-service thermostats containing mercury—especially anyone with a C-20 Warm-Air Heating, Ventilating and Air Conditioning or C-21 Building Moving/Demolition license. Though no longer sold in California, the Department of Toxic Substances Control (DTSC) estimates up to 10 million mercury thermostats are still in businesses and homes throughout the state. Effective January 1, 2014, regulations require the collection and recycling goal to increase to 95,400 mercury thermostats, or 45 percent of the estimated number of disposed devices. Recycling goals will increase through 2018. C-20 and C-21 contractors are seen as a critical link in proper disposal of obsolete thermostats that contain the mercury toxin. New DTSC rules also will help identify contractors not participating in the recycling program. Regulations that took effect last July require contractors to put their CSLB license number on the thermostat container or provide it at the collection location that accepts the device. 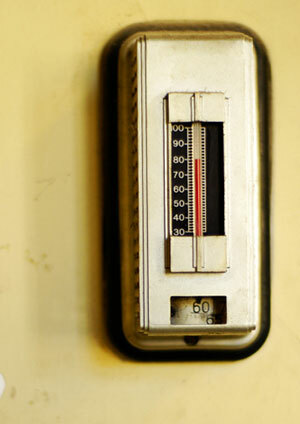 The new regulations were adopted last May as the final part of the Mercury Thermostat Collection Act of 2008. The nonprofit, industry-funded Thermostat Recycling Corporation operates about 560 collection sites in California that accept and safely recycle old thermostats. Contractors can find the nearest collection site by going to www.thermostat-recycle.org/search.php and filling in a ZIP code. Under the new regulations, collection sites will provide the number of mercury thermostats received and the contractor license numbers to manufacturers who submit an annual report to DTSC. For more information, go to www.dtsc.ca.gov/LawsRegsPolicies/Regs/Mercury_Therm_Recovery_Reg.cfm.